Lupulin threshold shift \lu·pu·lin thresh·old shift\ n 1. When a once extraor-dinarily hoppy beer now seems pedestrian. 2. The phenomenon a person has when craving more bitter-ness in beer. 3. The long-term exposure to extremely hoppy beers; if excessive or prolonged, a habitual dependence on hops will occur. 4. When a “Double IPA” just is not enough. I always considered myself an English Ale beer drinker, but as of late I consider myself more of an IPA type guy. 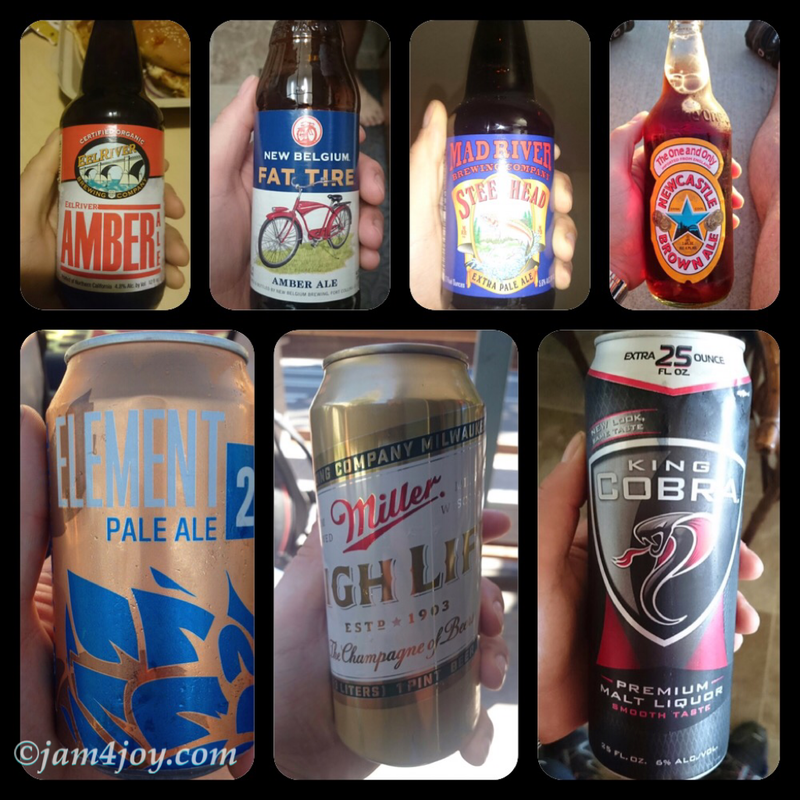 The craft beers of the USA West coast are phenomenal! The styles of beer crafted in these parts are generally Ales (that being amber and English) and IPA’s. The beers we are accustomed to back home in SA are mostly commercially produced lagers and pilsners. 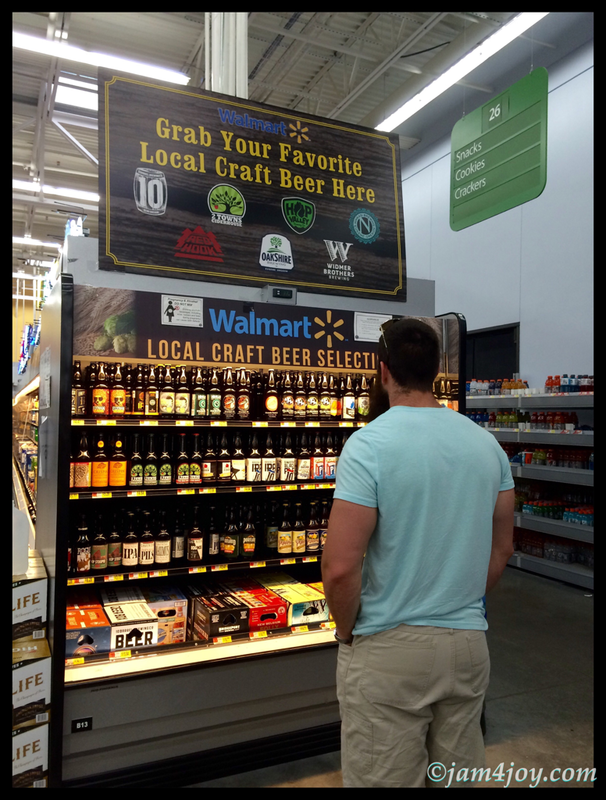 The craft beer scene is still on the rise and not very common in liquor stores just yet, they are particularly scarce in our area. The beers we have tried here range from weiss, lagers, pilsners, stouts, ales, English ales, imperial ales, IPAs, ciders, fruity beers, sweet beers, bitter beers, and the the list could go on. I would estimate we have tried close to 80 different beers already since our arrival. Many breweries and bars offer tasting trays, so you can sample 5 or 6 beers without committing to just one. Tap rooms are also very nice places to go to for beer lovers. They offer beers from many breweries from around that particular area. Again, you can then sample more than one beer from more than one brewery. Most tap rooms we have been to offer between 40-60 different brews on tap! 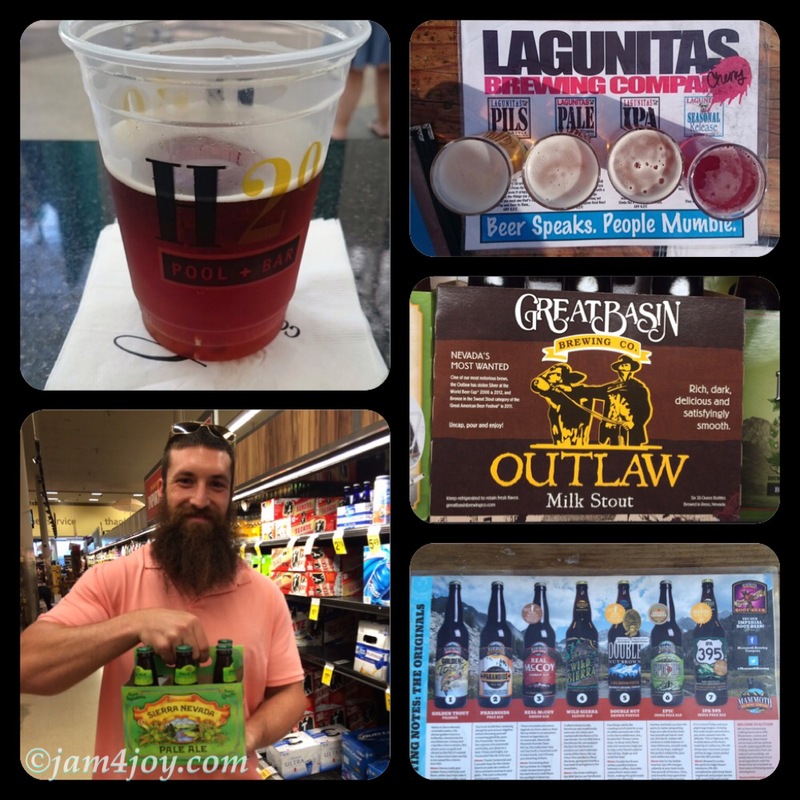 Craft beer is available not only at breweries, bars or tap rooms, but basically everywhere where you can buy alcohol. You can get it from the local liquor stores, grocery stores, markets, even from Walmart. 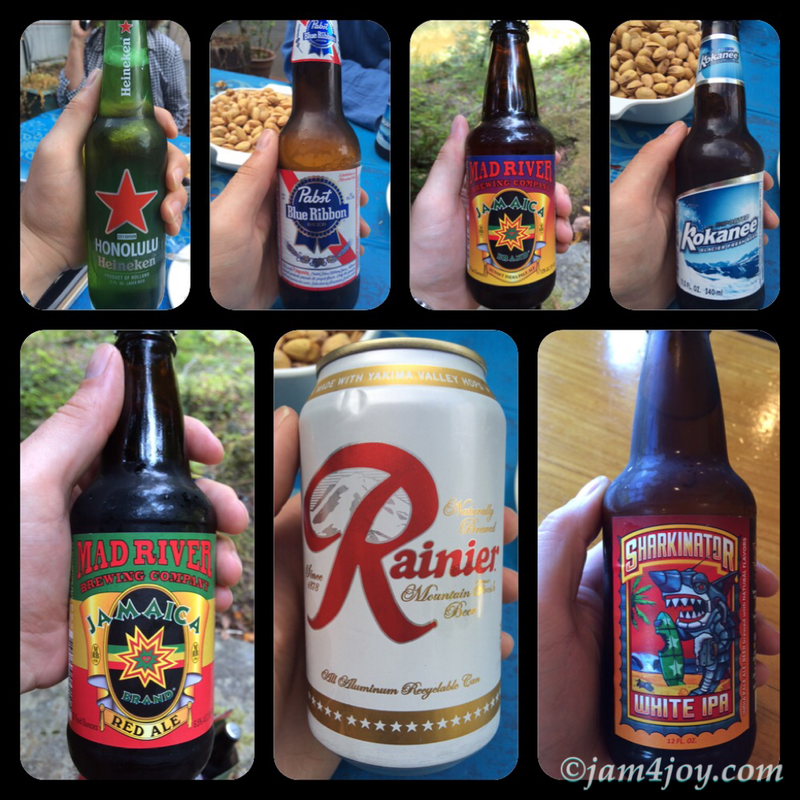 The beer culture on the west coast is great and attracts people from all walks of life. Many breweries also produce seasonal beers, depending on material availability, or for a particular occasion, for example pumpkin beer for Halloween. My interest in beer has really taken off over the last year but even more now after I’ve experienced the craft beer scene here in America. Towards the end of last year I crafted my own beer. My dad and I competed to see who could craft the better beer. Our styles of beer were different so the 2 beers were not really in competition with each other, both were very good. 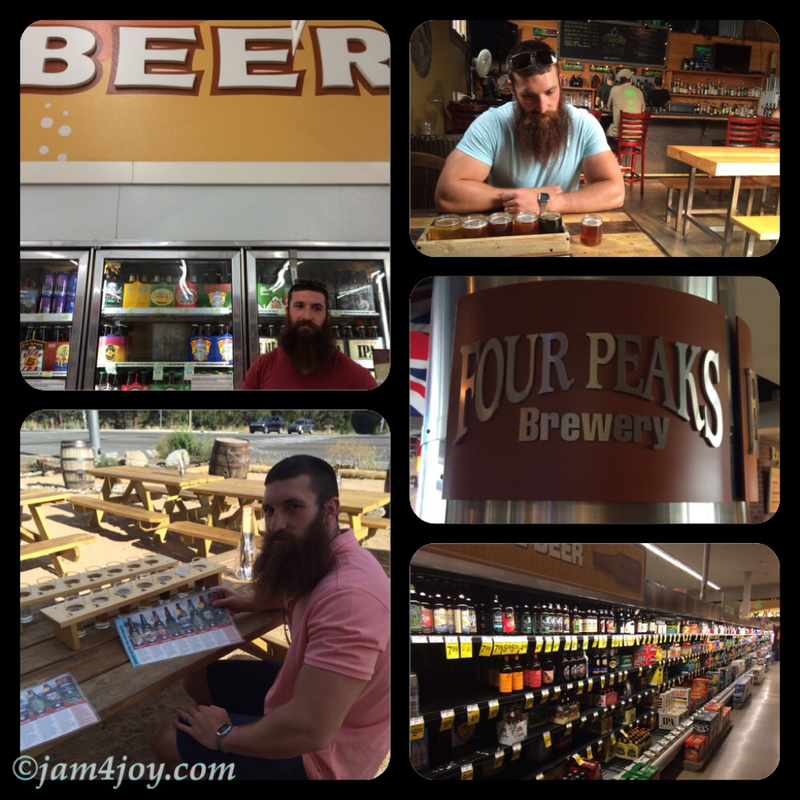 Jam and I have since produced 5 different beer styles and 1 cider. “Touch wood” none have been bad, some just better than others. We also belong to a local beer makers association in Ladybrand, you can read about our previous gathering here. “Beer speaks. People mumble.” Lagunitas brewery, San Francisco, California. 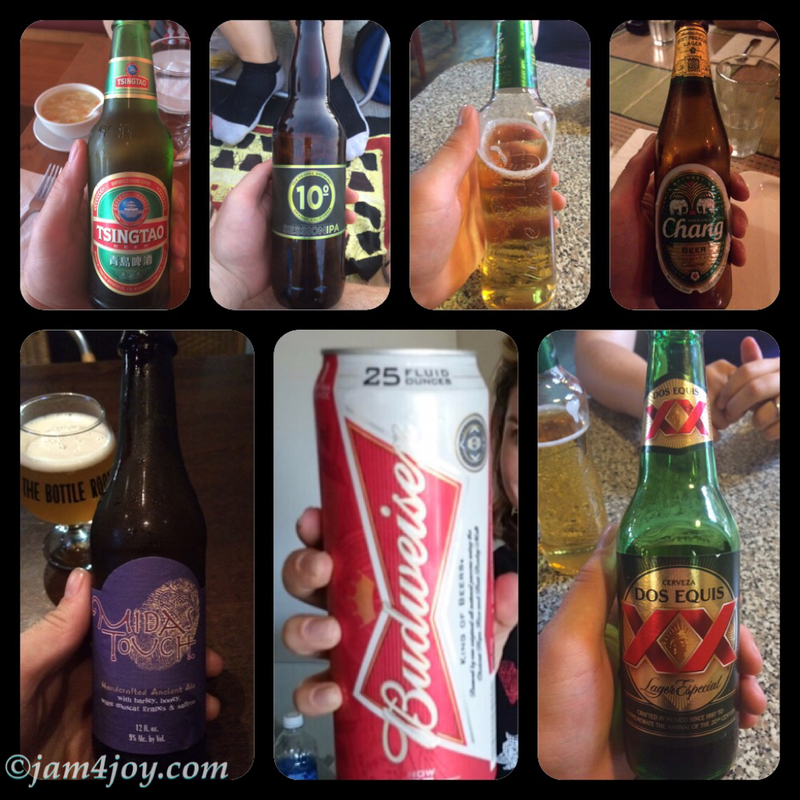 This entry was posted in Interesting, USA and tagged beers in the USA, craft beer. Bookmark the permalink.